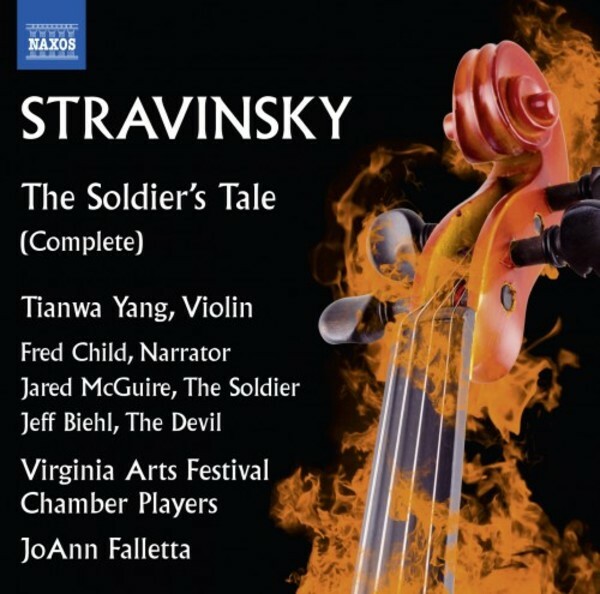 Stravinsky conceived the idea of a small-scale theatrical work towards the end of the First World War. Collaborating with Swiss writer Charles-Ferdinand Ramuz and painter and designer René-Victor Auberjonois, he wrote L’Histoire du soldat (The Soldier’s Tale), derived from a Russian folk tale by Alexander Afanasyev. It is scored for narrator, two speakers and an instrumental septet – ‘to be read, played and danced’ as there is also a non-speaking dancing rôle. The Faustian morality tale is rendered as a music-drama of extraordinary rhythmic charge and gripping power.